Typical with flying cars and all that Rohit Shetty's directorial style holds exclusive, it is expected that the movie will feed the right dose to the fans who are much awaiting Simmba's release. 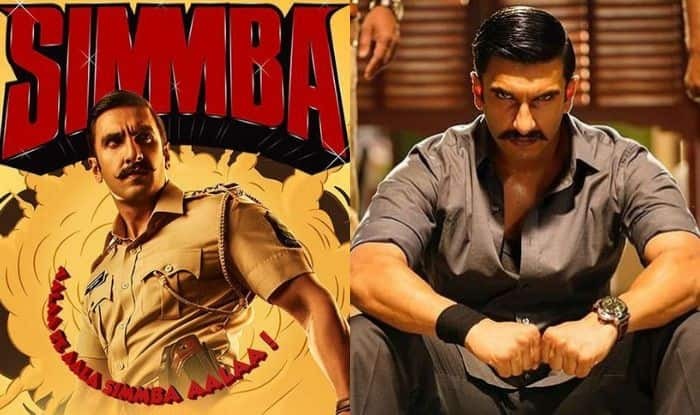 Touted to change the bad fate of all big-budget movies this year, Rohit Shetty directorial Simmba, as per trade analysts, is expected to earn Rs 25 crore on the opening day. Releasing across 3,500 screens across the country, the Ranveer Singh and Sara Ali Khan starrer and is likely to push Shah Rukh Khan’s underperforming Zero out of the theatres. Not just this but the analysts are also expecting Simmba to make it to Rs 100 crore club in merely four days. Helmed by Karan Johar‘s Dharma Production, the movie also stars Sonu Sood, Ashutosh Rana, Ashwini Kalsekar, Sulbha Arya and Vijay Patkar. Shetty’s lucky charm, Ajay Devgn is also making an appearance in Simmba and reprising the role of everyone’s favourite inspector, Singham while Golmaal cast Tusshar Kapoor, Kunal Khemu, Shreyas Talpade and Arshad Warsi also appear in cameo roles. Riding on the back of a blockbuster expectation, the movie has to its credits, not just a crackling lead who are expected to recreate their charm and the director’s lucky charm to its aid but also the fact that Rohit has the highest number of Rs 100-crore movies to his name. Add to all that is Simmba’s brilliant soundtrack, especially the remix of the 90s hit Aankh Maare, that has managed to attract the right kind of attention already. After the Khans big releases failing to woo audience this year – Salman Khan’s Race 3, Aamir Khan’s Thugs of Hindostan and Shah Rukh Khan’s Zero, moviegoers are looking forward to a masala movie. Typical with flying cars and all that Rohit Shetty’s directorial style holds exclusive, it is expected that the movie will feed the right dose to the fans who are much awaiting Simmba’s release. Seems like the ace director will manage to tug the right strings with the plot that appears to be a fine blend of action, drama, romance as well as comedy and the effort of the filmmakers who have been driving the film’s promotions in the right direction up till 24 hours before its release.